To investigate the perception of muscular effort in individuals with multiple sclerosis (MS) and healthy controls during dynamic contractions. Individuals with MS (n=28) and controls (n=28) (N=56). Perceived muscular effort during dynamic elbow extensions was rated at 9 different weight intensities (10%–90% of 1-repetition maximum) in a single-blind, randomized order using the OMNI-Resistance Exercise Scale. Muscle activity of the triceps brachii muscle (lateral head) was measured via surface electromyography and normalized to maximal voluntary excitation. According to OMNI-level ratings, significant main effects were found for the diagnostic condition (F=27.33, P<.001, η2=.11), indicating 0.7 (95% confidence interval [CI], 0.3–1.1) lower mean OMNI-level ratings for MS, and for the intensity level (F=46.81, P<.001, η2=.46), showing increased OMNI-level ratings for increased intensity levels for both groups. Furthermore, significant main effects were found for the diagnostic condition (F=16.52, P<.001, η2=.07), indicating 7.1% (95% CI, −8.6 to 22.8) higher maximal voluntary excitation values for MS, and for the intensity level (F=33.09, P<.001, η2=.36), showing higher relative muscle activities for increasing intensity levels in both groups. Similar to controls, individuals with MS were able to differentiate between different intensities of weight during dynamic elbow extensions when provided in a single-blind, randomized order. Therefore, perceived muscular effort might be considered to control resistance training intensities in individuals with MS. 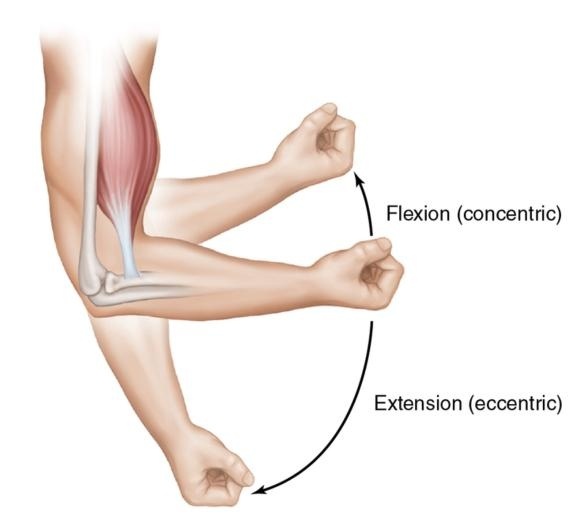 However, training intensity for individuals with MS should be chosen at approximately 1 OMNI level lower than recommended, at least for dynamic elbow extension exercises.